22 June 2018 – An outstanding collaboration between Karara Mining Limited and Nippon Eirich to implement grinding circuit process improvements at Karara Mine has been awarded the 2018 CEEC Medal. Palaniandy, Matthew Spagnolo, Rinto Napitupulu Halomoan, Huiwen Zhou and Hidemasa Ishikawa. 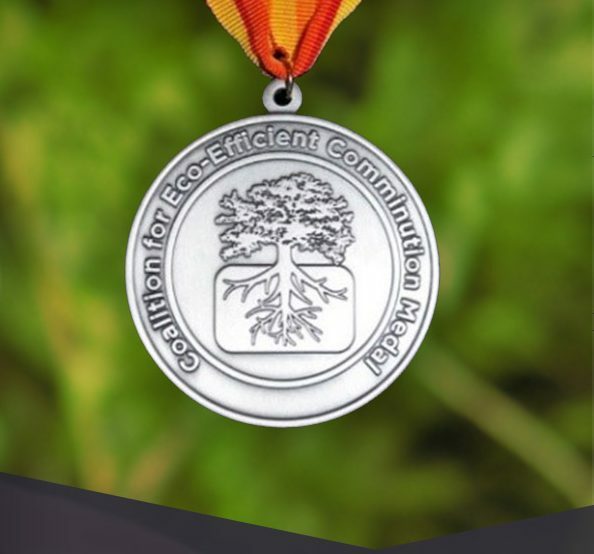 CEEC Medal Evaluation Committee Chair Dr Zeljka Pokrajcic said the prestigious award recognised outstanding published research and field work on strategies for energy-efficient comminution. The winners documented a collaboration between Karara Mining Limited and METS company Nippon Eirich, sharing a well planned and well written operational improvement. Site staff at Karara Mine, located in the mid-west region of Western Australia, faced the challenge of needing to exceed plant throughput and tackle increases in ore hardness. The authors documented how they converted the TowerMills to bottom feed for improved grinding efficiency, allowing increased throughput at high ore hardness. “The team’s systematic and methodical approach to identifying and implementing circuit changes around the TowerMill and hydrocyclone installation both solved the site’s challenge and achieved significant energy and productivity gains, with up to 50 percent reduction in specific energy of the fine grinding circuit,” Dr Pokrajcic said. The CEEC Board and Chief Executive Alison Keogh congratulate the medal winners for publishing an excellent and practical operational paper, which helps address pressing industry challenges. “We also commend Karara Mining for its leadership in supporting the authors to share their learnings with the global mining industry. Karara Mining’s willingness to share how it solved site problems through this collaboration with Nippon Eirich shows their joint commitment to our industry’s improvement, innovation and partnerships,” Ms Keogh said. modelling techniques, novel approaches to microwave pre-treatment of plant feed, and use of different types and shapes of grinding media. ‘Introducing variable electricity cost into the comminution energy curves’, by Grant R Ballantyne. This paper was presented at Comminution ’18 in Cape Town, South Africa. ‘Ball mill classification system optimization through functional performance modelling’, by Robert McIvor, Kyle Bartholomew, Omar Arafat and Jim Finch. This paper was published in SME’s Mining Engineering magazine. – The committee noted this important US contribution to comminution efficiency, which details a step-by-step approach to optimise ball mill circuits and shares the benefits of different equipment selections. ‘Cave fragmentation in a cave-to-mill context at the New Afton mine Part II: Implications to mill performance, mining technology’, by Stefan Nadolski, Christopher O‘Hara, Bern Klein, Davide Elmo and Craig J. R. Hart. – This novel Canadian collaboration highlights how mining engineers can consider the benefits of bulk sorting, and helps industry identify and implement energy, cost and value benefits using a new cave-to-mill optimisation approach for underground mines. ‘Shifting the comminution workload from secondary to regrind stage: An energy efficient approach’, by Samayamutthirian Palaniandy, Hidemasa Ishikawa and Mohsen Yahyaei. Presented and published at Procemin Geomet 2017, Santiago, Chile. – This collaborative work demonstrates the benefits of coarsening SAG mill circuit product size then bulk gangue rejection using flotation. The committee noted this alternative approach to processing low-grade, competent and finely disseminated ore bodies offered significant savings to operational expenditure. “By sharing these advances across our global network CEEC is proud to be helping operators, researchers and equipment suppliers to stay at the cutting edge of comminution and minerals processing and reduce footprint,” Ms Keogh said.